Pit Bulls are frequent guests here at the Humane Society of Southwest Missouri. Though they are some of our kindest, most innocent visitors they have been given a bad reputation. 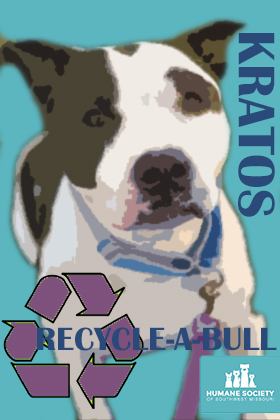 We have started to give recognition to these "bullies" through our Recycle-A-Bull program. Because these pit bull guests usually have an extended stay with us, donations for their food and care while at the shelter is much needed. Kratos was adopted May 18th, 2016. 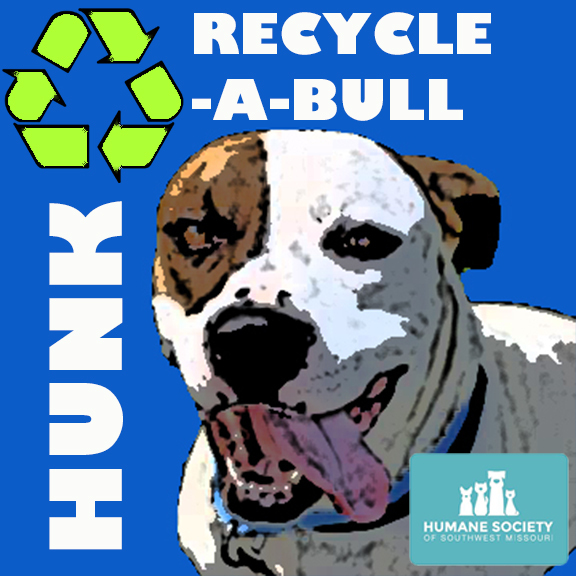 Hunk was adopted July 27th, 2016. Mila was adopted May 31st, 2016. 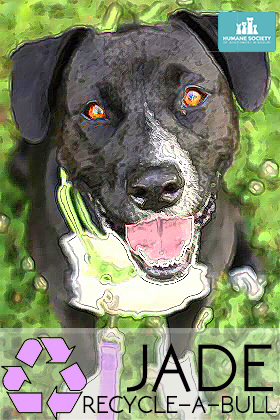 Jade was adopted August 22nd, 2016. 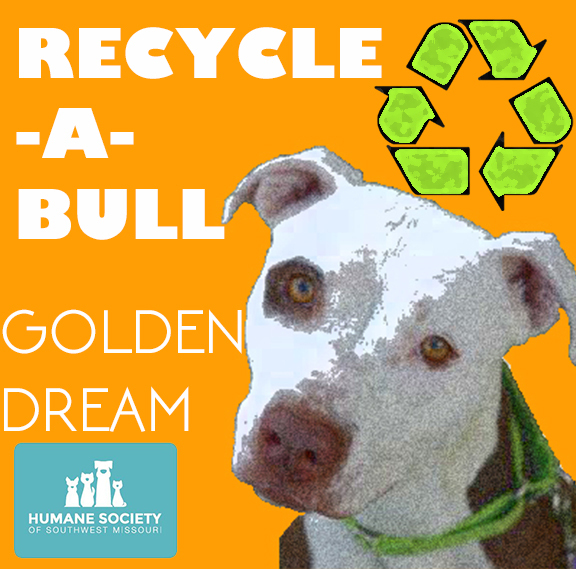 Golden Dream was adopted July 31st, 2016.